There is a difference between the “religion” of Scientology and the “church” of Scientology. 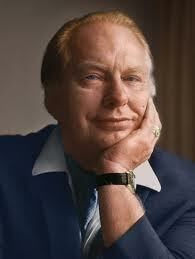 Do you think the Church of Scientology today is co-terminal with the religion of Scientology, as the same has been developed by L. Ron Hubbard, and is accomplishing its goals? If not, feel free to express your opinion to the Trustees and Directors of CST. The original trustees, all of whom were given lifetime appointments, are: Marion (Meissler) Pouw, Greg Wilhere, and Terri Gamboa. We know that Terri was replaced by Russ Bellin. The general directors are appointed by the trustees for one-year terms, according to the CST bylaws, but in reality, according to our investigation, are appointed by Miscavige. We do not know the current general directors. The “Special Directors” were also appointed for life, and are California licensed attorneys. The original ones were: Sherman Lenske, Stephen Lenske, and Lawrence Heller, none of whom are Scientologists. The latter two have indicated to us that they are no longer special directors but Sherman Lenske still is. His mailing address is: Sherman Lenske, Lenske, Lenske & Abramson, 6400 Canoga Ave, Woodland Hills, CA 91367. His office phone number is: (818) 716-1444. Monique Yingling replaced one of the original special directors. She can be reached at: 888 Seventeenth St. N.W., Suite 700, Washington, D.C. 20006, phone: (202) 298-8660. Based on our investigation, none of the trustees or general directors of CST have ever read the CST Bylaws and do not know their legal and LRH-appointed ecclesiastical duties. They have all been kept in the dark by and falsely convinced by both Miscavige and the special directors that Miscavige is the supreme ecclesiastical leader on all matters. This is another way of saying that LRH’s last wishes don’t matter and that secular law does not apply to them. If you are a CST trustee or general director and want assistance in carrying out your LRH-appointed legal and ecclesiastical duties independently of Miscavige and the CST special directors, please contact us. We have top lawyers who specialize in religious corporation law on retainer who will assist you. For more information on this subject, please visit Save Scientology’s website. CST Bylaws, Article II (Definition of Terms), section g.
 “Blow” is Scientology term that means an unauthorized departure. “Int Base” is slang for Scientology’s Sea Orgnization facility, “International Base,” outside Hemet, California.